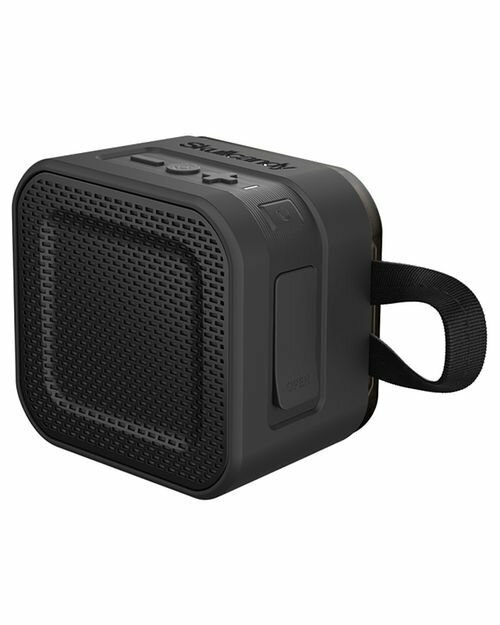 Skullcandy Barricade mini bluetooth speaker has IPX5 water resistant and it is Impact resistant, speakers has Powerful audio, 6-hour rechargeable battery, Bluetooth connectivity, Durable attachment loop, Rugged construction for outdoor listening. With emphasis on the low end, a passive radiator helps create impressively powerful and dynamic sound across all types of music. and is an ultra-portable size.it packs truly powerful, full-spectrum sound for enjoying your music indoors or out an adventure necessity. The Skullcandy Barricade Mini Portable Speaker was added to the Portable Speakers category in January 2017. The lowest price GetPrice has found for the Skullcandy Barricade Mini Portable Speaker in Australia is $41.00 from Mighty Ape.